Smith College President Kathleen McCartney speaks at the Allen Center on Thursday. McCartney discussed women in leadership and how to overcome sexism. Kathleen McCartney, president of Smith College and former dean of Harvard Graduate School of Education, said women should combat sexism by supporting other women and ensuring their voices are heard during an event Thursday. McCartney spoke to about 100 students and faculty at the Allen Center. The event was organized by the Provost’s Advisory Council on Women Faculty, which is part of Northwestern’s Office of the Provost. The council was formed in November 2016 to support and enable success for women and those who identify as women on NU’s faculty. Lindsay Chase-Lansdale, associate provost for faculty and co-chair of the advisory council, told The Daily that McCartney’s lecture included lessons that are important for both students and faculty. She said McCartney’s visit to NU is a step in the right direction for both the council and the University. “We’ve seen great progress at Northwestern regarding women faculty, and there’s much more work to do, but I’m encouraged because men and women are working together on these goals,” Chase-Lansdale said. 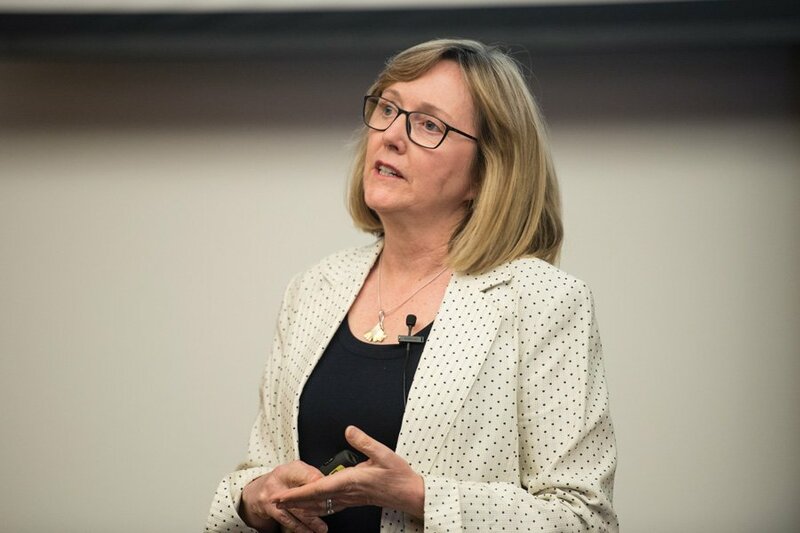 McCartney’s lecture, “Walls, Words, and Ways Forward — Creating Opportunity for Women Leaders,” examined gender stereotypes, restrictions put on women in leadership and possible ways to overcome these restrictions moving forward. McCartney said these restrictions and gender stereotypes are “omnipresent” and found to be based on cultural norms. One example McCartney discussed was the use of the word “bossy.” She said the term is used excessively to describe women, and when used too often can have a negative effect on women. Amy Sanchez (SESP ’15), who is a research study coordinator at the NU Institute for Policy Research, attended the event and told The Daily she supports the council that brought McCartney to NU and its mission to amplify women and women-identified voices. “Sexism continues to be real and it’s something that deserves a lot of intentional focus and discussion, and (Northwestern) is not immune from these issues,” Sanchez said. McCartney said it is impossible to live in the current cultural environment and not internalize some of the negative biases that exist. She said if someone ever has a strong negative feeling toward a stranger, it is probably because they are being affected by the negative biases. During a Q&A session with the audience, McCartney said respect toward women in academia has increased over the years, but she still witnesses gender discrimination.